Location: Lower Mainland BC I am trying to help somebody with a 56 Dodge and I came across the need to know for sure what the body style abbreviations were for 55-58. There is a section at the front of the 55-58 Mopar Parts Catalogue pdf which I have captured and posted below. I know what most of them are but a 3 passenger coupe? In 1940 maybe but not in 1955-58 or maybe there was that one 57-58 Plymouth 2dr coupe with no back seat? Whatever that was called. And there are a few others. I was trying to distinguish between 4 dr sedan and Lancers regarding rear windows. Location: Newark, Texas (Fort Worth) Plaza Business coupe. The rear side window doesn't have the thin post, slider, regulator or handle. Location: Pau, S-W France On my '57 parts manual (canadian) the Hard Top models are named "special" , i.e. an Imperial 4dr HT is an Imperial Special 4 door sedan, a 2dr H/T is a Special Club Coupe. Same for Lancer. Location: Alaska My 58 Plaza business coupe did not even have the brackets to hold a rear seat. I had to add them to install the seat. It was ordered without one. I think we have nailed the 3 passenger coupe as the business coupe. and the Town and Country, Town Sedan, and Traveler Sedan? Those all seem like throwbacks to the late 40's where thew were doing wood bodies, jump seats, and pull-out truck beds in the trunk! Location: So. California The Town & Country is a Chrysler wagon. The newer mini-vans were named after the long-standing name for the older wagons. But I agree, that I have no clue about the other ones you mentioned. I thought an Estate Wagon was a Buick! The Town & Country is a Chrysler wagon. The newer mini-vans were named after the long-standing name for the older wagons. But I agree, that I have no clue about the other ones you mentioned. I thought an Estate Wagon was a Buick! 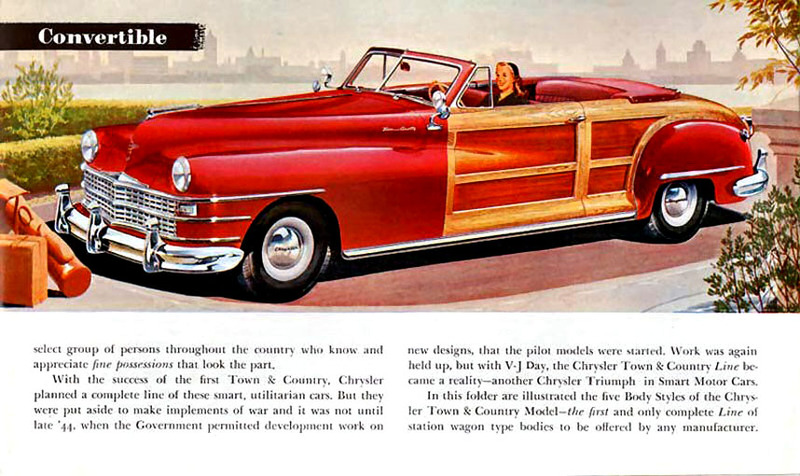 Initially (in the 1940's) the Town and Country was applied to the woodie style sedans, convertibles, etc. It looks like the big body (Desoto and Chrysler) wagons (at least 55 and 56) were called estate wagons (see below) with the Chrysler wagons also carrying the "Town and Country" name plate. 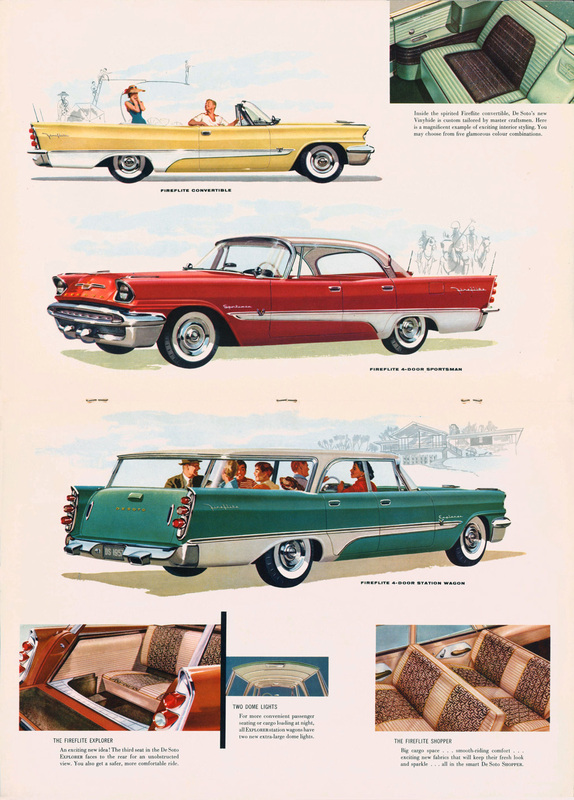 By 1957, the big wagons were just called "Station Wagons"
Interesting! 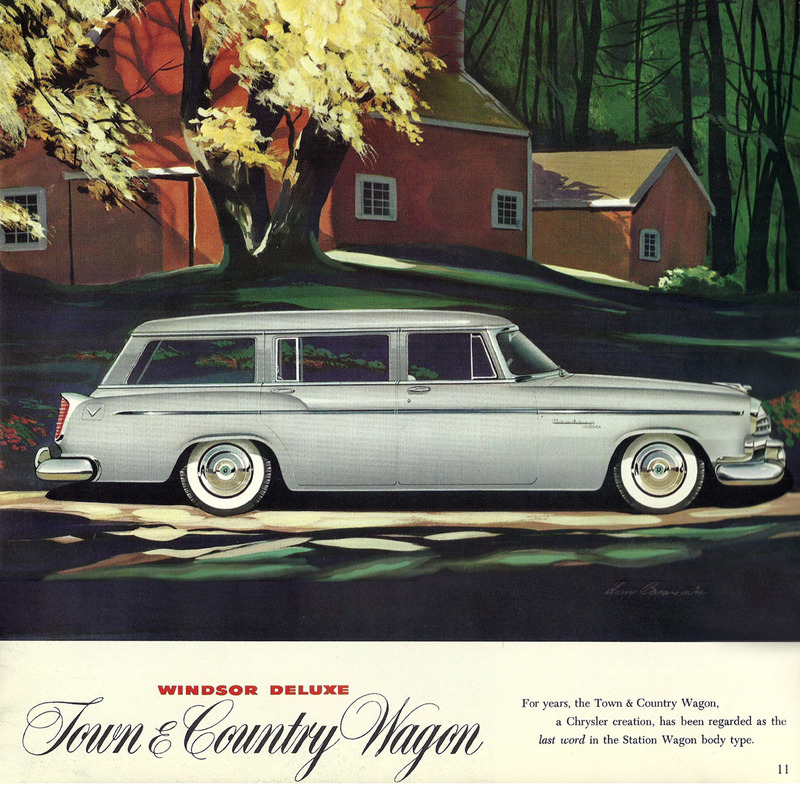 It looks like "Estate Wagon" and "Town & Country" have a close relationship in 1955 and 1956. Maybe it is a perfect overlap, but maybe not.